Choosing the best hotel goes beyond just booking the cheapest or the most centrally located. At Econo Lodge, we offer the best deals and make your stay enjoyable with our warm, friendly hospitality. Our hotel is in a convenient location that is right next to popular, scenic locations like Merrimack River. Manchester, New Hampshire is located in South Central New Hampshire around the Merrimack river and 50 miles from Boston. The city has seen a renaissance of restoration, renovation and rebirth and has positioned well for growth and prosperity. Manchester is culturally diverse and urban, yet has all the advantages of a small town that attract tourists daily. Our accommodating guest room amenities and comfort facilities ensure a pleasant stay. Overall, our guests stay for work or vacation, so we make sure copy, print and fax machines are available to print documents out for meetings or boarding passes. All other amenities include continental breakfast, WiFi, laundry facilities and free parking. Calling all foodies. If you fancy a bite to eat, there are lots of restaurants and cafes with a thriving food and drink scene. In close proximity to Econo Lodge, you can find delicious options such as KC's Rib Shack, Blake's Restaurant, Hanover Street Chophouse, Republic Cafe, Giorgio's Ristorante & Bar, The Foundry Restaurant and T-BONES Great American Eatery. Manchester is a shopping destination. Just embrace it, it's time to shop until you drop. The Arndale Centre is Manchester's huge indoor shopping mall which contains practically every designer brand. Market Street to Cross Street is where you'll find designer boutiques and The Northern Quarter is where you'll discover quirky shops. The cities renaissance has been fueled by sports. The Minor League Manchester Monarchs Hockey team plays in the Verizon Wireless Arena, as do the Manchester Wolves Football team. You can also catch a game at the Northeast Delta Dental Stadium, hosting Minor League Baseball's New Hampshire Fisher Cats. For the individuals who want to be one with nature, you can explore Lake Massabesic, Amoskeag Fishways learning and visiting center, walk through the Zimmerman House, enjoy the outdoors in Livingston Park or take a historic walking tour downtown. Manchester... more like MADchester! This city is known for a good time. You can enjoy some laughs at the Headliners Comedy Club or catch a show at the Palace Theater. For those looking for a night out, you can drink at Doogie's Bar and Grill, Strange Brew Tavern, The Wild Rover Pub & Restaurant and Thirsty Moose Taphouse Manchester. Mount Washington College was a for-profit college in New Hampshire, United States. Until 2013 it was known as Hesser College. It was owned by Kaplan, Inc. The college offered associate and bachelor's degrees focused in business and information technology. The college claimed a flexible class scheduling system tailored to a diverse group of students. The school was accredited by the New England Association of Schools and Colleges (NEASC). 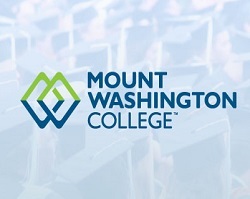 Mount Washington College closed in May 2016. 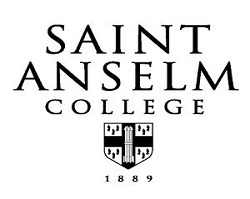 Saint Anselm College is a nationally ranked, Catholic, Benedictine, liberal arts college in Goffstown, New Hampshire, United States. Founded in 1889 by Abbot Hilary Pfrängle, O.S.B. of Saint Mary's Abbey in Newark, New Jersey, at the request of Bishop Denis Mary Bradley of Manchester, New Hampshire, it is the third-oldest Catholic college in New England. Named for Saint Anselm of Canterbury (Archbishop of Canterbury from 1093 to 1109), the college continues to have a fully functioning and independent Benedictine abbey attached to it, Saint Anselm Abbey. As of 2015, its enrollment is approximately 2,000. The SNHU Arena (Southern New Hampshire University Arena) is an indoor events arena in Manchester, New Hampshire, and seats 9,852 for ice hockey, 11,140 for basketball and up to 11,770 for concerts. The facility was originally known during construction as Civic Arena, and this name still appears on most of the directional signs around town. 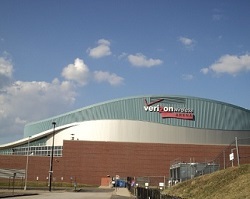 Its naming rights were sold prior to opening in 2001 and was called Verizon Wireless Arena. On February 2, 2016, it was announced that Southern New Hampshire University had partnered with SMG for the naming rights to the arena, which began on September 1, 2016, for a period of at least ten years. 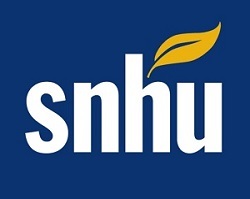 Southern New Hampshire University, also known as SNHU, is a private, nonprofit, coeducational, and nonsectarian university situated between Manchester and Hooksett, New Hampshire, in the United States. The university is accredited by the Commission on Institutions of Higher Education (CIHE) of the New England Association of Schools and Colleges, and also has specialized accreditation for its schools and programs. All children are welcome. Free! Up to two children under 16 years stay free of charge when using existing beds. There is no capacity for extra beds in the room. Pet Accommodation: $20.00 USD per night, per pet. Pet Deposit required : $100.00 USD per stay. Rates based on 2 adults occupancy. Hotel will charge for extra adults. It's a really nice hotel. The rooms are very big. Very kind staff, quiet location.clean room.the room was a good location. I needed reasonable priced hotel last minute and was not disappointed. It even came with a great continental breakfast buffet. The staff was friendly and knowledgeable. It was immaculate. The hotel staff was so helpful and understanding. Whatever we needed we just asked and it was received. The hospitality was great and inviting. Will definitely be back to this hotel. it is the most reasonable place in all of Manchester. loved the breakfast, complimentary too. convenient and within budget.Room very clean. Strong Wi-Fi. Lots of parking. Would positively stay here again without hesitation. The hotel was clean & the staff was friendly. It was an interesting place. Pretty cool stuff. overall it was a good experience. In town for daughters volleyball game @ St Anselm College.good, overall good. just stay for one night, so everything is ok.
great service and the room is clean and nice.Continental breakfast was good.Clerk was helpful. I traveled to this hotel as part of a trip to cover the Democratic debate in Manchester, NH on Dec. 19th. It was cheap, comfortable, and it served its purpose. New changes for the better!! I was impressed.recently made the hotel non-smoking, the room was very clean, bed looked new.the place is very quiet and the hotel staff are trying to make changes to be a good place to come to. I will stay again.